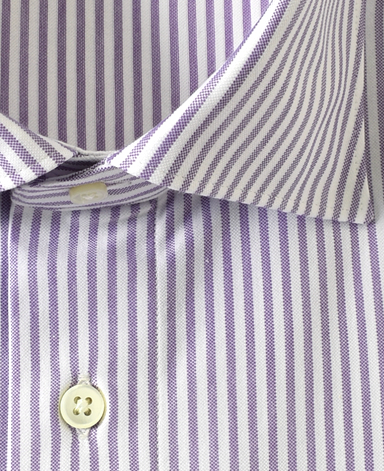 The linings of the collars have been changed, giving it a sharp edge similar to our dress shirts. 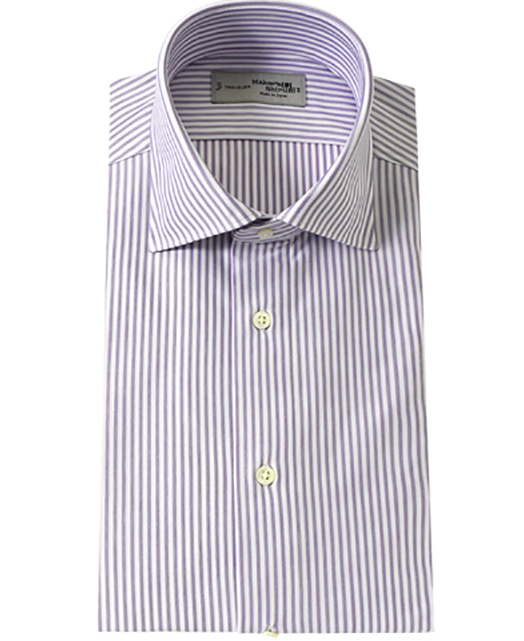 The button on the sleeve placket has been moved closer to the cuffs so that even if the button is loosened, the sleeves don't slide down. Our Manhattan Model has been designed to be effortlessly comfortable, whilst boasting a beautiful appearance. 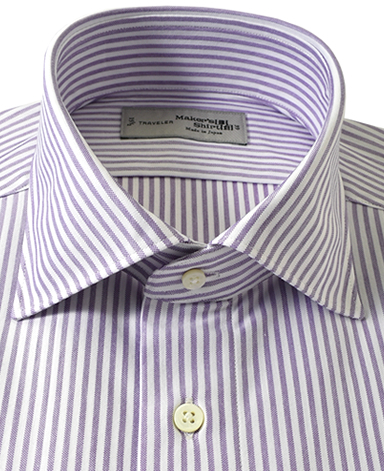 Under the guidance of a world-famous pattern-maker, many small adjustments have been made. In order to allow more flexibility in the chest and waist, the front panel has been made larger and the back panel smaller. Our knit shirts do not require specific care. All you need to do is to place in a laundry net and wash at home. 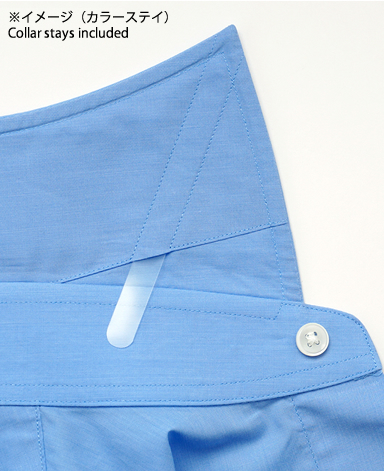 Hang to dry using a clothing hanger and the fabric will need almost no ironing when dry. 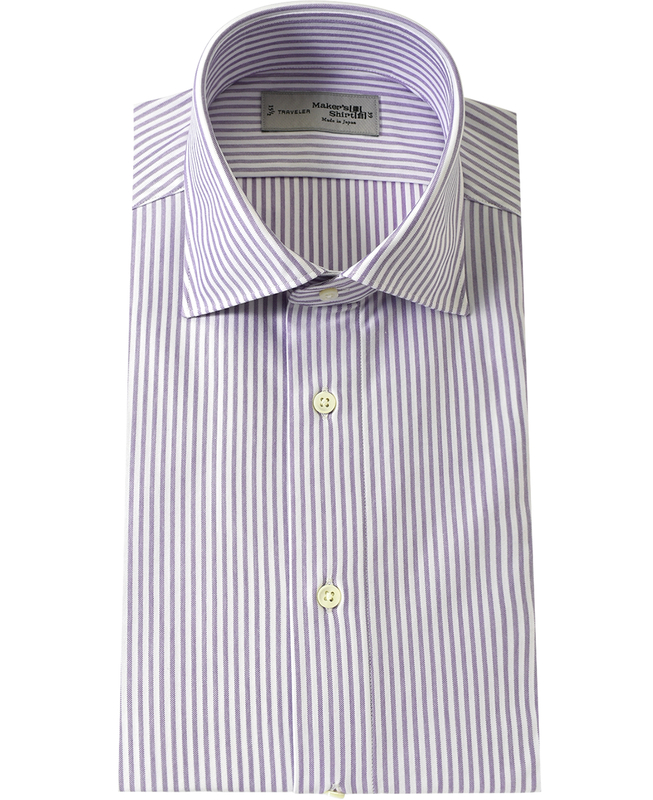 As the shirts are made using elastic knitted fabric, you will not notice creases usually found on a cotton dress shirt. Once you arrive at your destination, all you need to do is spray the shirt with some water and hang to dry. 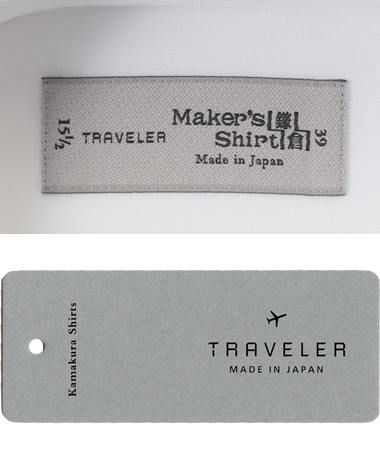 These knit shirts won't leave you embarrassingly wrinkled up even after a long journey. Choosing nothing but the best, we have carefully selected knitters of the highest expertise in Japan. 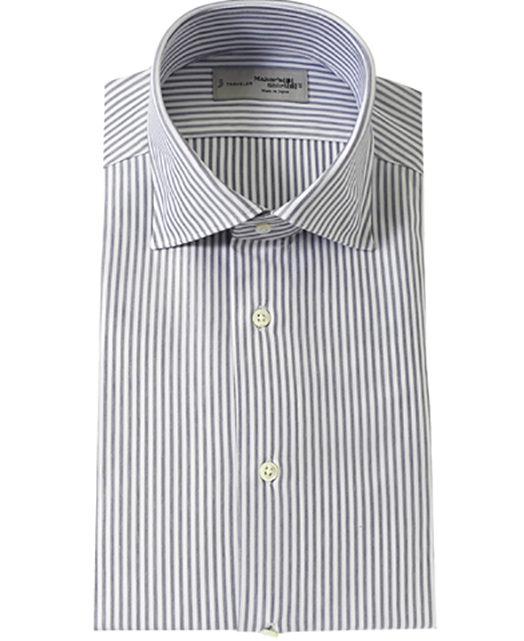 We have chosen the perfect fabric for each season with the right gauge and right thickness.